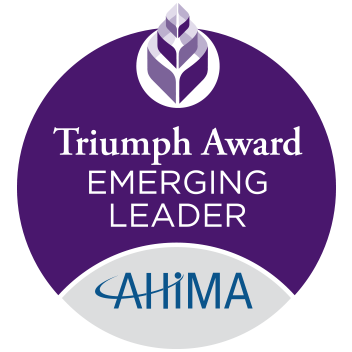 AHIMA Triumph Award recipients are honored for advancing the field of health information management. The Emerging Leader Award honors those individuals who have made great strides and contributions to the HIM field. AHIMA Triumph Awards are sponsored by 3M.